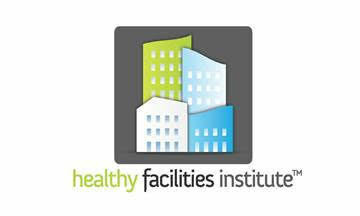 The Healthy Facilities Institute awarded Honorable Mention to Magazine School District, Magazine, in the 2018 Healthy School Facilities Recognition. The submission was one of almost 20 entries for the 2018 Healthy School Facilities Recognition, a partnership of School Planning & Management and College Planning & Management magazines, and HFI. The Gold Standard of Excellence was awarded to Birmingham Public Schools in Michigan, the Silver Standard was awarded to Michigan State University, Healthy Facilities Advocate was The New School of New York, and Honorable Mention recipients along with Magazine School District were Washington State University, University of Nevada Las Vegas, Beulah Middle School, Pensacola, Florida, and Chamlian Armenian School of California. ‒ Providing access to healthcare to kids and teachers including medical, dental, vision, and mental health, and a new telehealth program, which accesses experts via telecommunications. ‒ A partnership with neighboring school district Western Yell Schools to provide dental and vision care for their students. ‒ A Wellness Center on campus that assists or treats about students, staff, and community members. ‒ Collaborating with professional organizations such as Children’s Hospital & University of Central Arkansas, to provide enhanced services to students, while helping university students gain field experience. ‒ Expanding physical activity for students to have greater movement and play time, in 2018, through the Arkansas Department of Education Recess Pilot Program. ‒ Installation of additional cameras across campus to enhance safety and monitoring.